A powerful being of love and light. Ladyhawk Soars!!!! The Journey Begins. Horses, Horses, Horses, Marie has always had a passion for horses starting from an early age. Marie is so grateful for the opportunity of having grown up with horses and on into adulthood, except for a few short years horses have always been a part of her life. Marie has background in Retail, Web Design, General Office, Hospitality and Management in single parenting. Every year brings new growth and transformation, a learning Journey of coming out of the mind and into the Heart. The searching and seeking of something that would fit with the passion of horses and helping people. The Horses were calling strongly. Having completed courses in Angel communications, Reiki I (for horses), Quantum Touch, the calling then lead to taking a Healing with Horses workshop with Margrit Coates and Discover your Inner Self workshop with Horse Spirit Connections, with the Intention of enrolling in the FEEL (Facilitated Equine Experiential Learning) program. 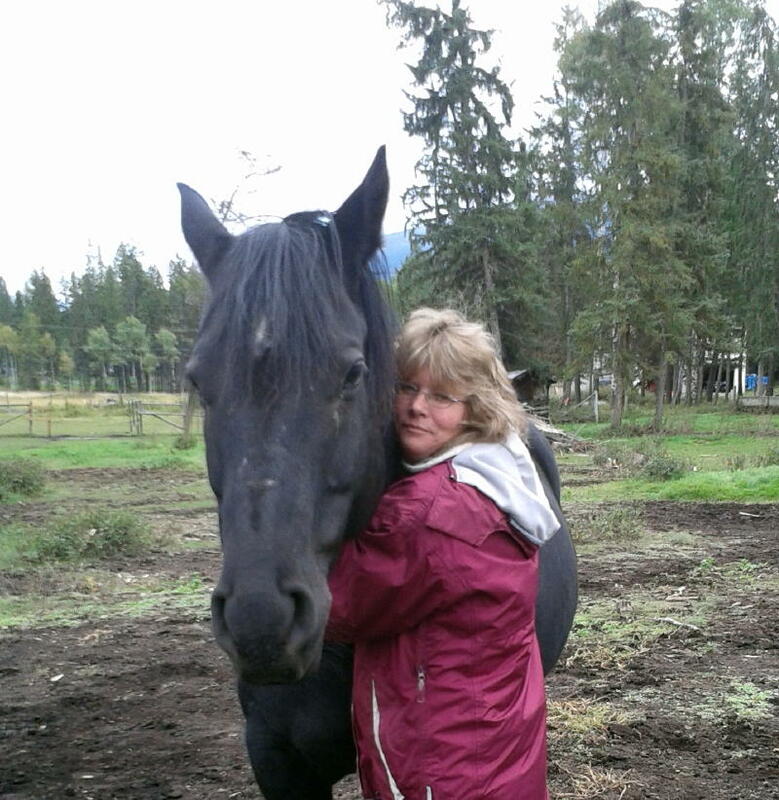 As a 2014 FEEL graduate Marie brings a soft confident facilitation to passionately create a Sacred Space of Possibilities while partnering with the horses for the client to embrace their Inner Power of Authenticity and Empower them to move forward in life to attain their Heart’s Desire. Would you like to enter a World of possibilities to experience the richness of partnering with Horses?